Riva Stream, one of the largest streams of Istanbul region, has been witnessing fish deaths on a massive scale for the last couple of days. The shores of the stream near Bozhane, Öğümce, Göllü, Paşamandıra and Çayağzı villages of Istanbul's Beykoz district were filled with dead carps. 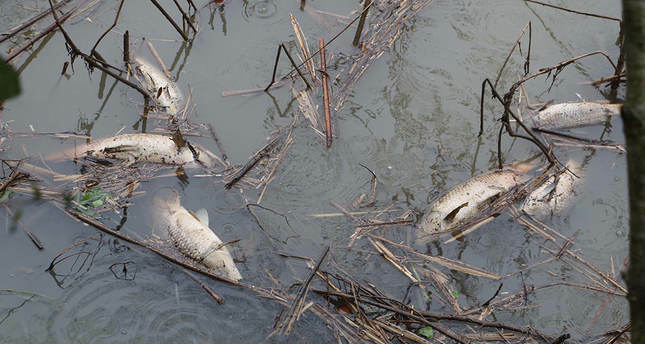 Villagers said that the mass fish deaths were a result of chemical dumping into the stream by nearby industries. 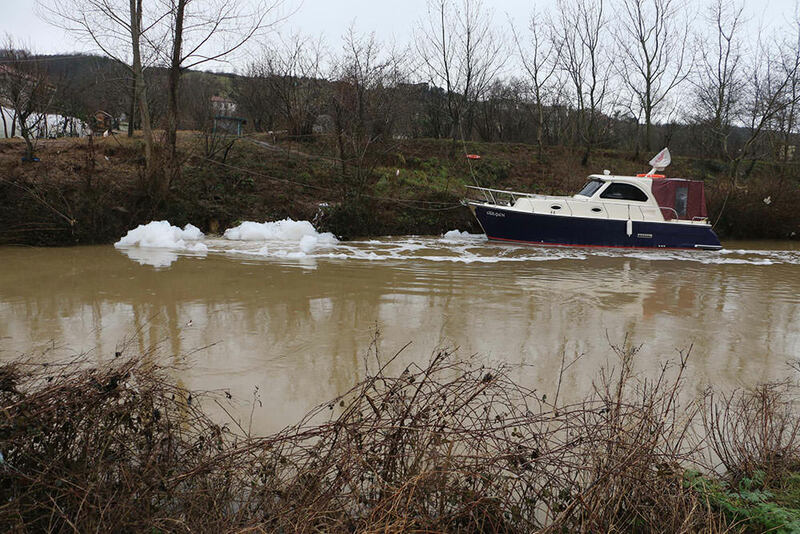 Local fisherman Şeref Cesur, 60, claimed that industries near Ömerli village secretly dump chemical waste stored in pools by tankers into the stream. "We used to fish and swim in this stream since we were small. We even drunk water from the stream," Cesur said. Sıtkı İlter, headman of Öğümce village, said that the fish deaths have been going on for a week and they think the cause is industrial waste. Amid the blurry water of the stream that has an increased flow rate due to heavy rainfall, there is visible foaming in the areas where dumped water is released into the stream. Locals said that they had witnessed similar incidents on a smaller scale in previous years. The upper course of Riva Stream feeds Ömerli Dam, which provides more than 40 percent of Istanbul's drinking water. The mouth of the stream on the Black Sea, located just west of Riva village, is one of the most popular getaways near Istanbul due to its wide beach, although sea activities are losing popularity due to increasing pollution flowing from the stream. The seventy kilometer long stream is also one of the few streams in Istanbul which flows along its natural course. Environmentalists have also expressed their concerns over the last few years regarding high probability of increasing urban buildup near the connection roads leading to the third bridge of Istanbul, which runs parallel to the lower course of the stream.